The Star Wars film that started a worldwide phenomenon is coming to NWA’s biggest stage this spring. Walmart AMP officials this week announced plans to screen Star Wars: A New Hope at the venue on Saturday, May 25. 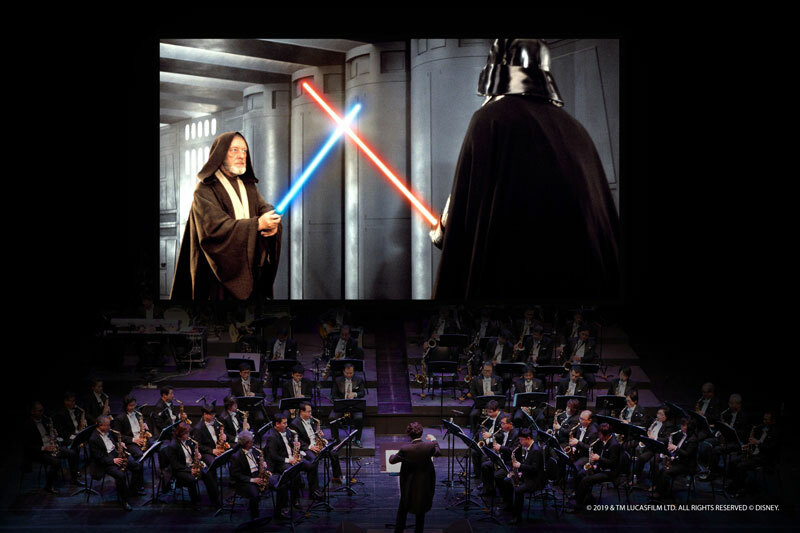 To sweeten the deal, the film will be accompanied by a live performance of John Williams’ classic score by members of Symphony of Northwest Arkansas. Tickets to the event range from $22-$75, and go on sale at noon on Friday, Feb. 1. To purchase, visit the Walton Arts Center box office, call 479-443-5600, or visit amptickets.com. The WAC box office is open Monday-Friday from 10 a.m. until 2 p.m.
You could also visit the AMP box office from 10 a.m. until 6 p.m. on Friday, Feb. 1.